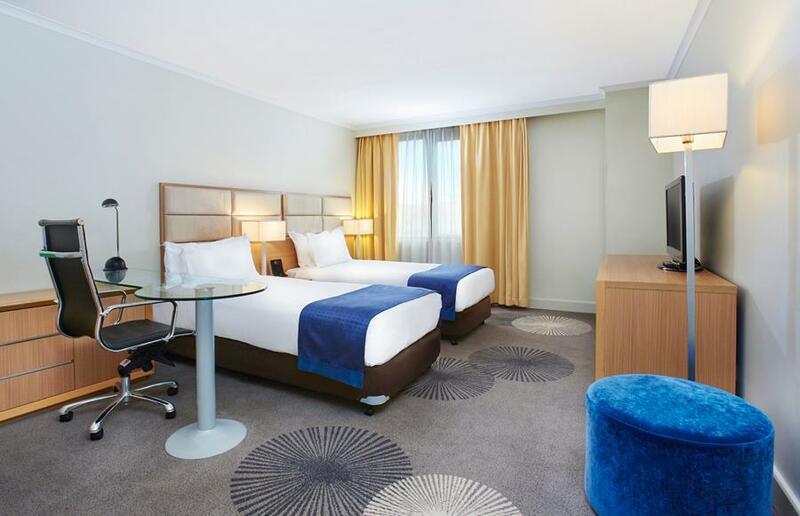 يقع Holiday Inn Parramatta على بعد 15 دقيقة من منتزه ويت آند وايلد سيدني المائي، ويتميز بمسبح خارجي وحوض استحمام ساخن ومركز للياقة البدنية. ويقدم غرف ضيوف مع مكتب كبير للعمل وتلفزيون إل سي دي عالي الدقة. 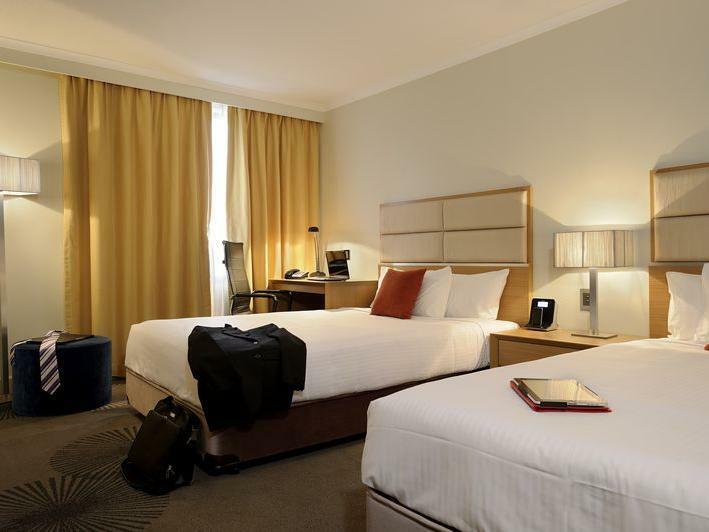 يقع Parramatta Holiday Inn على مسافة قصيرة سيرًا على الأقدام من العديد من المطاعم المحلية ومركز وستفيلد باراماتا للتسوق. وتقع محطة باراماتا للسكك الحديدية على بعد 5 دقائق فقط سيرًا على الأقدام. ويقع الفندق على بعد 30 دقيقة بالسيارة من وسط مدينة سيدني وعلى مسافة 35 دقيقة بالسيارة من مطار سيدني. يقدم مطعم Twenty One Fifty بوفيه إفطار يومي وقائمة مأكولات المقهى ووجبة عشاء انتقائية في المساء. ويتميز بار اللوبي بمدفأة وتلفزيون كبير بشاشة البلازما. تحتوي جميع الغرف الأنيقة في Holiday Inn على حمام داخلي حديث وميني بار وتكييف هواء. وتتوفر أيضًا أجنحة فاخرة مع منطقة استراحة منفصلة وحوض استحمام سبا. يمكن للضيوف استخدام مركز الأعمال الذي يعمل على مدار الساعة، وتحتوي جميع الغرف على خدمة إنترنت عالي السرعة. كما تتوفر خدمة الواي فاي في مناطق المطعم والبار واللوبي. وتتوفر أيضًا موقف آمنة للسيارات في الموقع. وتتوفر كذلك خدمة نقل ذهابًا وإيابًا إلى الأحداث المحلية المختارة على أساس التوافر. يُرجى ملاحظة أنه بالإضافة إلى سعر الإقامة، يطلب مكان الإقامة إجراء تفويض مسبق على بطاقة الائتمان للحصول على 150 دولارًا أستراليًا (أو 300 دولار أسترالي لجناح السبا) أو تحويل الأموال إلكترونيًا عند نقطة البيع «إي إف تي بي أو إس» أو الحصول على سندات نقدية عند تسجيل الوصول لتغطية الرسوم الطارئة. ويُرجى ملاحظة أن ودائع/تأمينات بطاقة الائتمان قد تستغرق من 5 إلى 7 أيام عمل لتحريرها. يُرجى ملاحظة أنه يتم خصم تكلفة إضافية بنسبة 1.5% عند الدفع ببطاقات ائتمان فيزا أو ماستر كارد. يُرجى ملاحظة أنه يتم خصم تكلفة إضافية بنسبة 3% عند الدفع ببطاقات الائتمان أمريكان إكسبريس أو داينرز كلوب. يُرجى ملاحظة أن هذا الفندق يطبق سياسة عدم التدخين بشكل صارم. يجب ألا يقل عمر الضيوف عن 18 سنة كحد أدنى كي يتسنى لهم تسجيل الوصول في مكان الإقامة. يُرجى ملاحظة أن مكان الإقامة قد يقدم خدمة نقل ذهابًا وإيابًا إلى بعض الأحداث المحلية. وللحصول على مزيد من المعلومات، يُرجى التحدث إلى مكتب الاستقبال للتأكد من التوافر والتكاليف. The hotel is nice and clean. We booked and arrived around 10 p.m. The check in process was quick. However, nobody helped with carrying our luggage. Toothbrush and slippers were provided within minutes after we requested. The breakfast was very nice. Staff was friendly. Overall, it was a nice stay. This was our second time and we were hoping it would go without a hitch (unlike the first stay) However on our first morning there we were rudely awoken at 8am by someone attempting to enter our room. Since we had the chain on the door they could not enter, then again at 8.20am they attempted a second time. When we enquired at the front desk as to who was trying to enter, after some investigation, we were told it was cleaning staff. Not sure why cleaning staff would attempt to clean a room at 8am on a Saturday morning. It ruined our sleep as the noise startled our 11 month old who then refused to go to sleep. If you attempted once to enter a room and couldn't get in, what makes you think you can enter again within 20 minutes? 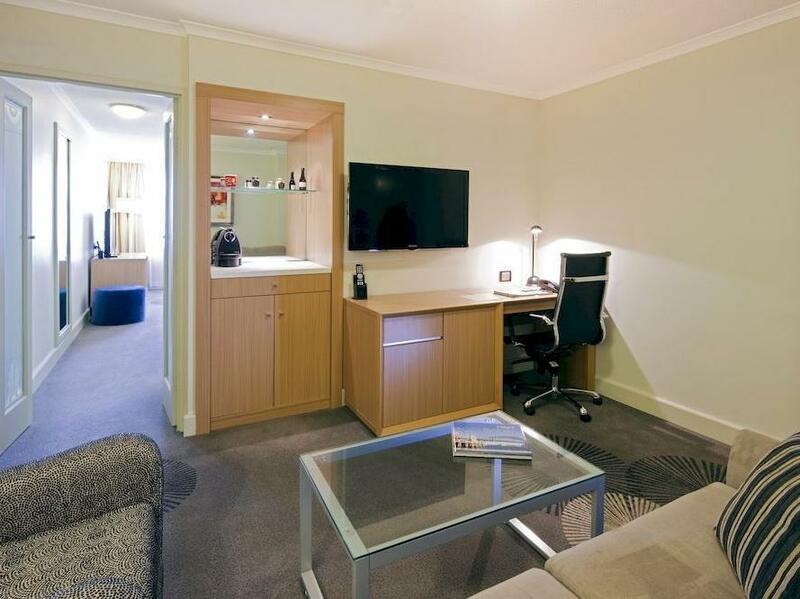 We come to Parramatta regularly and thought we would change our accommodation. I am so please we did. The staff are outstanding and were very helpful when I had a couple of queries. I could walk everywhere instead of driving. Food was great and excellent prices. We are definitely going to stay here again. 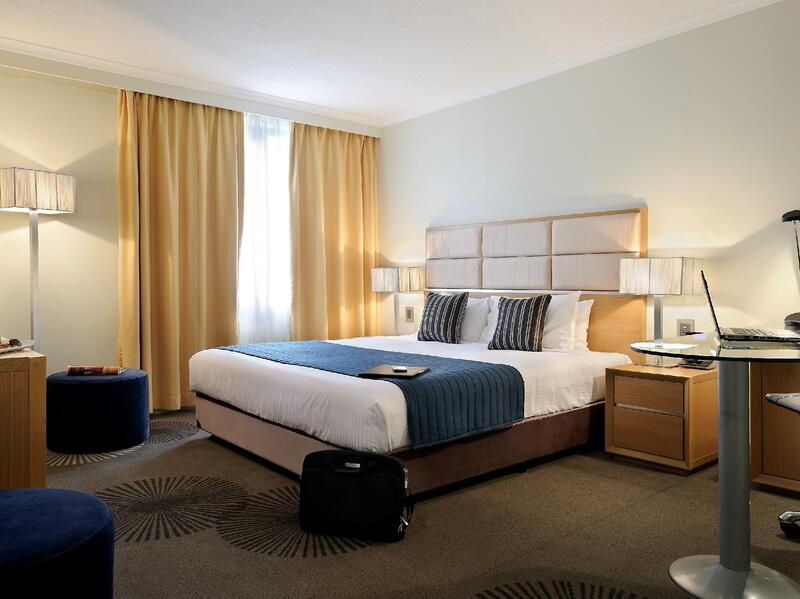 Overall is pleasant stay and with 2 complimentary drink as surprise! A pleasant stay with friendly staff and a clean and decently sized room. 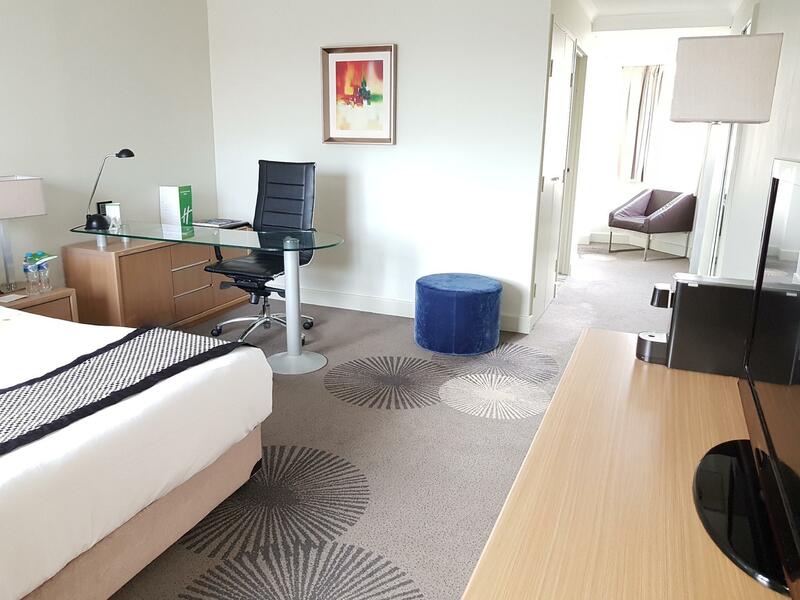 The location is not the best being a fair distance from Sydney CBD but it is still close to Westfield Parramatta and other restaurants and cafes. I would certainly recommend this hotel. Friendly, pleasant and helpful staff who were very customer focused; location; size and cleanliness of room. We found our stay very comfortable and relaxed. The food and service in the restaurant were both excellent and the drinks at the bar were full bodied. The location was excellent; only a very short walk to the Westfield Shopping Centre, yet away from the noise of the main street. Thoroughly enjoyed our stay and will return again. I stayed 1 night at the Holiday inn with my 3 children under 12. Our room was very clean and the beds super comfortable. 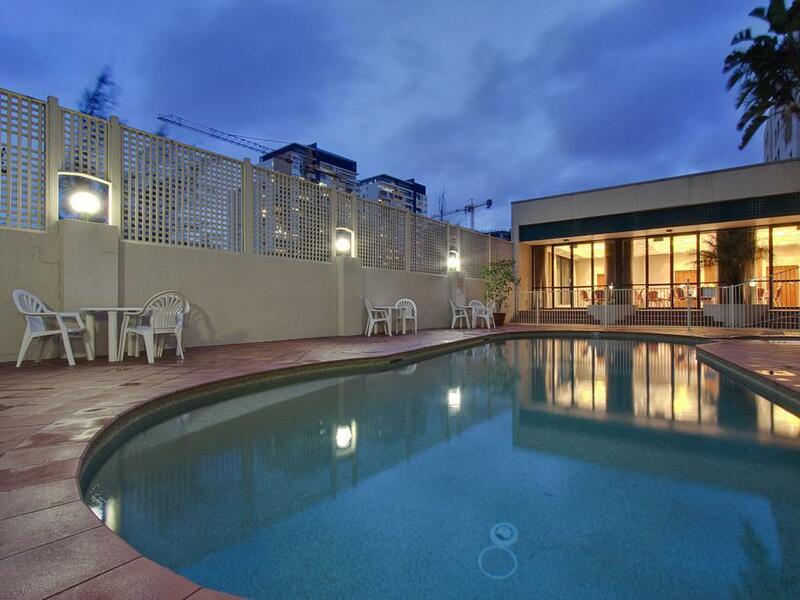 Its location is great only a 5 minute walk to Parramatta train station and Westfield. The buffet breakfast was good and all staff were friendly. Would definitely stay here again when we have something on at Sydney Olympic Park. Overall stay was good. Location is close to train station and Westfield. 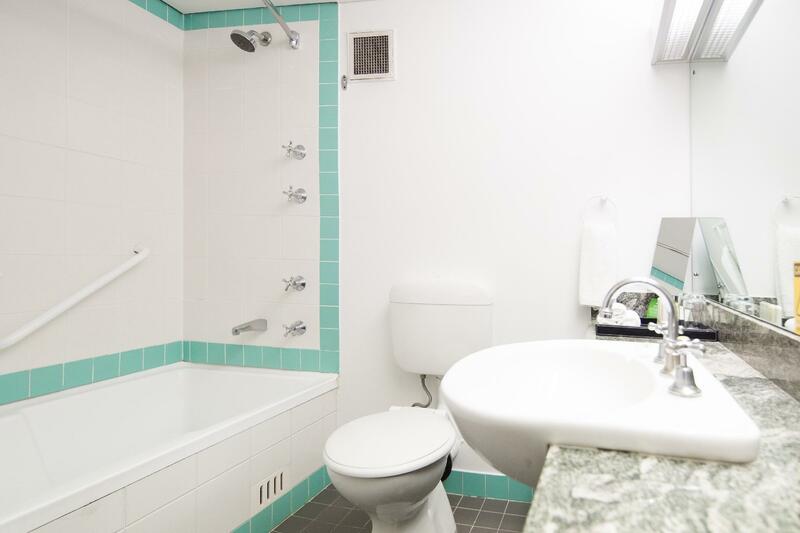 The room and bathroom are spacious. Service was excellent, promptly brought up the items we requested over the phone. Great experience. Very good location only 5 to ten minutes away from shops and train/bus station. The hotel has a great outdoor pool and spa. 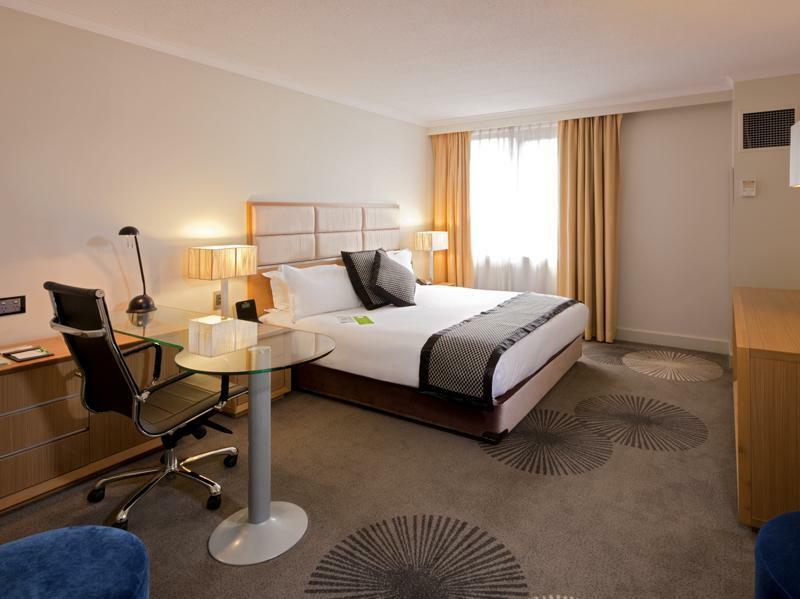 The rooms are very spacious making your stay a comfortable one. Our stay was a very enjoyable. Some mornings we would have a good breakfast to start our day. It's a great location to the town and transport system and only about 25 minutes from central station and ten minutes from Olympic Park. There's a good pub opposite, which is good for kids up to about 10pm. The town of Parramatta has a very good shopping centre in Westfield plus parks and a laundry within walking distance. I would recommend all visors without a car staying for a week or more to invest in an opal card which you can get from Woolworths or any news agency. Cuts out buying tickets and is accepted on buses and ferries plus a €2.50 cap on Sundays. Very useful. Room was done everyday, clean to towells and a clean room everyday with air conditioning plus TV with a movie section (xtra cost) and 4 fox sports channels. The weather was surperb. Overall a fantastic place. Room service cleaning — no spare towels, nothing in bar, tv remote not funtional, car parking stinky, wash basin drain not functional!! Wasn’t expecting this from such a big name! !